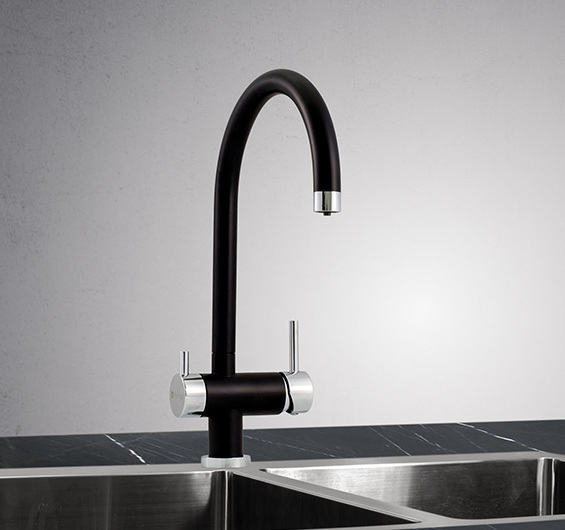 Matt black finish and chrome highlights, the Tripla-BL1 is everything modern tapware should be: clean and classy. A chrome lever on one side will give you filtered water, while the lever on the other side will dispense hot and cold tap water. The BL1, like all Puretec Tripla taps, does not mix filtered and unfiltered water.